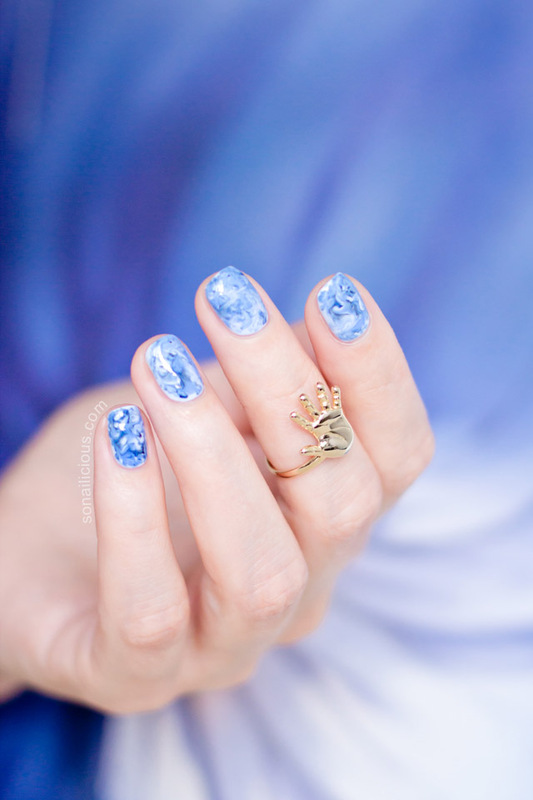 Foil Drag Marble nail art is an easy and at the same time, difficult nail art technique. It doesn’t require a steady hand or nail art skills as such but what it does require is a knowledge of the polish that you’re using and being able to create relatively similar patterns on all 10 nails. If not, it just can look messy. But once you get it right, it’s truly rewarding! 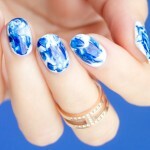 Marble nails is one of those multitasking looks that can be done for any occasion and in any colour to suit your outfit. 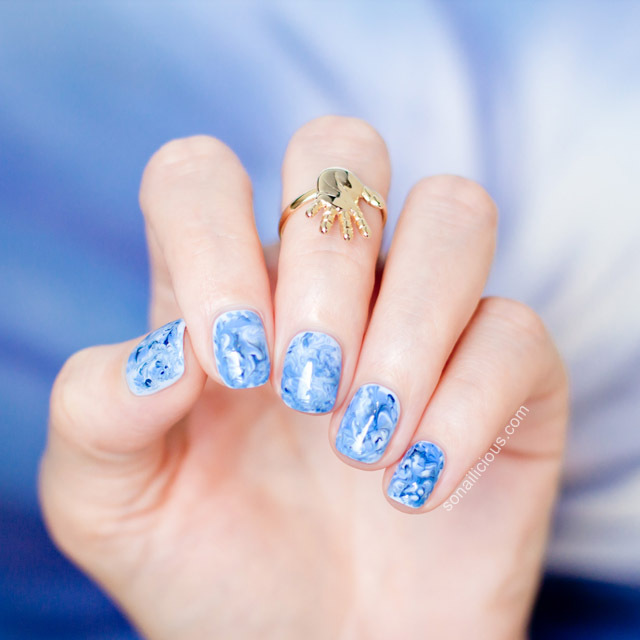 You can easily upgrade your this manicure by adding studs or patterns (like this). 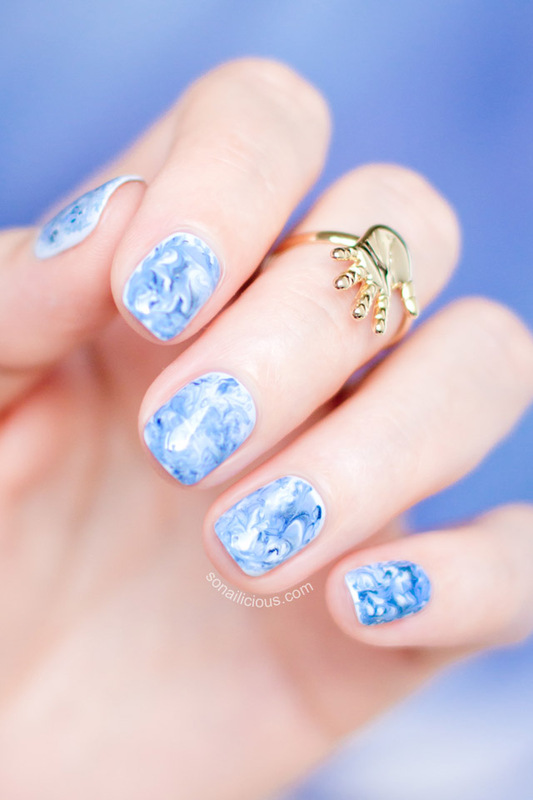 Finally, this Marble nail design looks great on short and long nails. 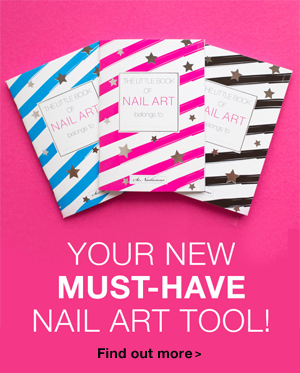 Paint 1 coat of your polish of choice on all nails. 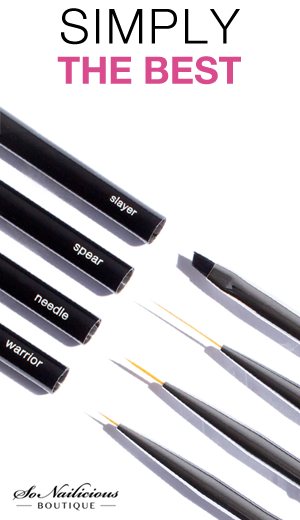 Decide which colours are you going to use for your look (2, 3 or 4 colours, including the base colour) and prepare little sticks of foil to work with. Now, work one nail at a time. 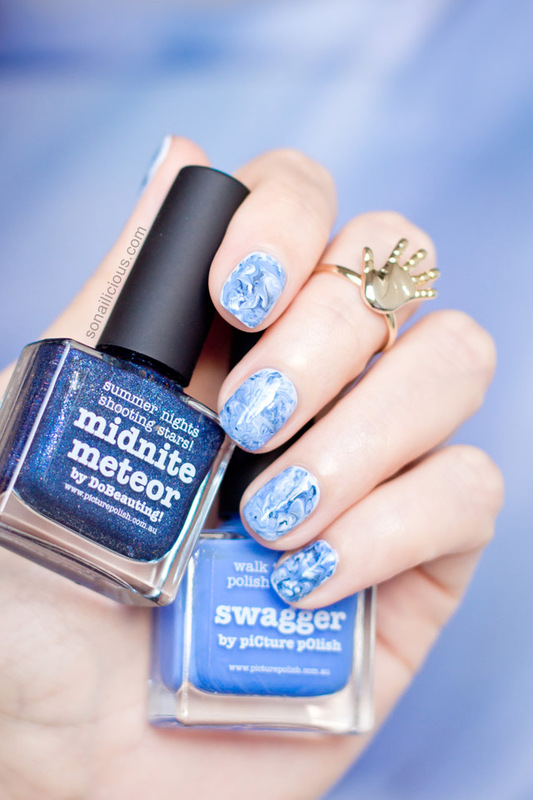 Using a nail polish brush, add spots of polish on each nail in random order. Gently pat all over the nail with small foil stick. Avoid patting more then once in one spot and using too much pressure, you might lift the polish. Just small, soft touches all over the nail and leave it. Repeat steps 3 & 4 on all nails. Clean up around nails as it can get a bit messy. Then seal your design with 2-3 coats of a fast drying high gloss top coat. Note: to avoid smudging your nail design, apply a top coat very carefully, slowly and without touching the surface of your nails. 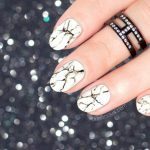 If you want to upgrade your Foil Drag Marble manicure, the quickest option is to add some studs! If you need instruction on how to work with studs, refer to this Studded Nail Art tutorial from our book. Used: ORLY Nailtrition, Kester Black Sky (light grey base), Picture Polish Swagger and Midnite Meteor, Essie Good To Go. 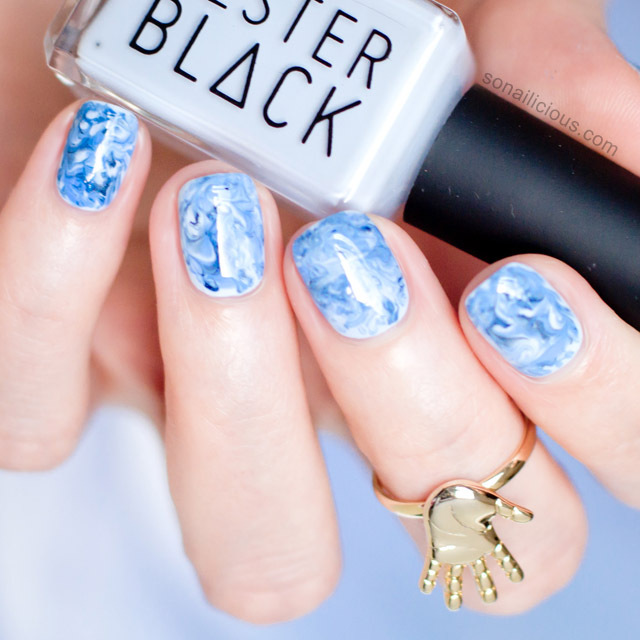 What do you think about this Marble nail art? I’m totally sold and can’t wait to experiment with other colour combinations. 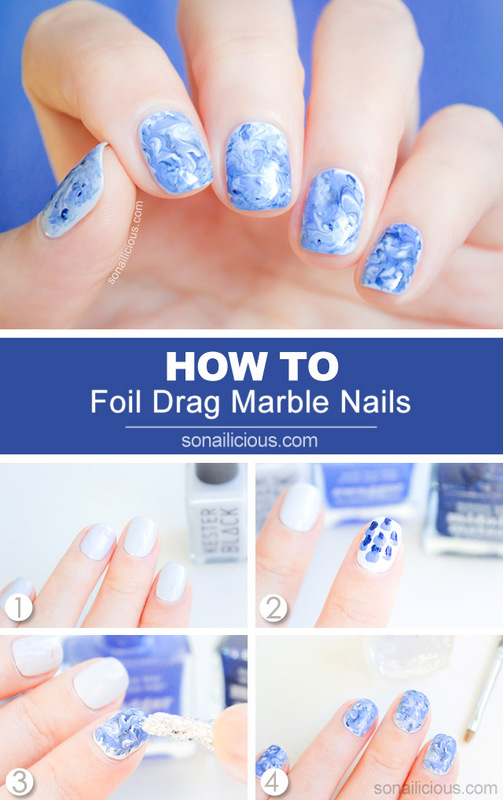 What about you guys, have you tried the Foil Drag Marble technique before? 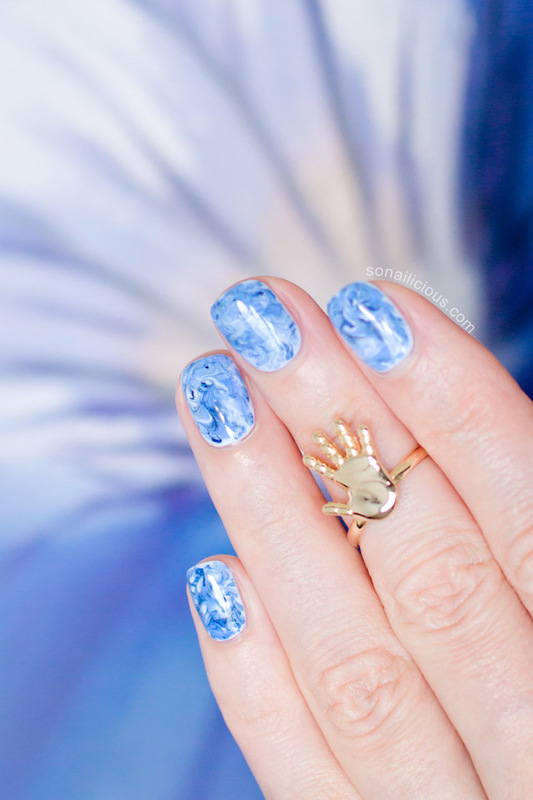 As always, if you recreate this Marble nail art, make sure you show us your work – tag it #SoNailicious on Instagram and Twitter, we’d love to see it!